VirtualBox is maintained and developed by the Oracle Corporation. VirtualBox can be used to install and run multiple operating systems. *For these models, regular programs can be run successfully but not multimedia due to system hardware limitations. 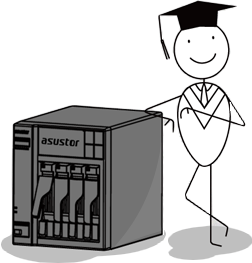 Only a single virtual machine may be run at a time in the ASUSTOR Portal interface, but multiple machines can be simultaneously run in the background. The number of virtual machines that may simultaneously be run in the background will differ depending on system CPU and memory. Due to license restrictions, the VirtualBox extension pack must be manually installed. In this section we will demonstrate how to use VirtualBox to configure a virtual machine. Please first prepare the items listed below. § The virtual optical disk file for the operating system that you wish to install. If the Apps listed above have not been installed yet, you can use the search field in the upper right-hand corner of the App Central window to search for and install the Apps. Connect the keyboard and mouse to the NAS and then click on the VirtualBox icon. After opening VirtualBox you should be able to see the VirtualBox management interface as shown in the graphic below. 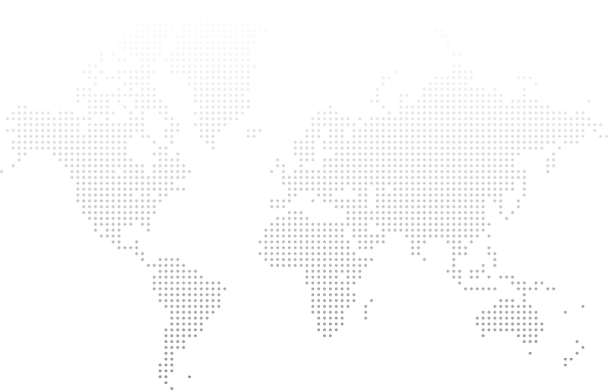 Here, you will be able to add and manage virtual machines. Click on[New]to begin configuration for a new virtual machine. Enter a name for your virtual machine, select the type of operating system you will be installing and then click on[Next]. Now, you will need to select the amount of memory (RAM) that wish to allocate to the virtual machine. The more memory you allocate, the smoother the performance of the virtual machine. After allocating memory, click on[Next]to continue. Note: Please remember to take into account your NAS memory usage when allocating memory for virtual machines. Select the[Create a virtual hard drive now]radio button and then click on[Create]. Select the type of file that you wish to use for the new virtual hard drive. In our example, we select[VDI (VirutalBox Disk Image)]and then click on[Next]. Select whether the new virtual hard drive should grow as it is used (dynamically allocated) or if it should be created at its maximum size (fixed size). In our example we select[Dynamically allocated]and then click on[Next]. Now, you will need to enter a name for the virtual hard drive, select a location for it on the NAS, and configure its size. In our example, we will use the VirtualBox default location and size (25GB) and then click on[Create]. Next, select[Display]in order to configure the video memory. Please first select the[Enable 3D Acceleration]and[Enable 2D Video Acceleration]checkboxes and then set the Video Memory to[128 MB]. Now, select[Storage], select[Empty]and then click on the“Optical Drive”icon. Select[Choose a virtual CD/DVD disk file…]. At this time you can browse through your NAS and select the virtual CD/DVD disk file for the operating system that you wish to install. After selecting the file, click on[OK]. Note: When selecting the CD/DVD image file, you can double click on[/]and then select[Volume 1]to browse through the data on your NAS. Verify that the virtual CD/DVD image file has been mounted and then click on[Start]to begin installing the operating system. Once the installation screen has opened, click on[View]at the top of the window and then select[Switch to Fullscreen]. You will now be ready to begin the installation of the operating system. If the message below appears, select[Do not show this message again]and then click on[Switch]. Note: The Host key is defined as theRight Ctrlkey by default. After completing installation of the operating system, we will install VirtualBox Guest Additions for a smoother usage experience. The two examples in this section will demonstrate installation via HDMI (ASUSTOR Portal) and phpVirtualBox (ADM Web browser interface). Move the mouse towards the bottom of the screen. The management toolbar should now appear. Click on[Device]and then select[Insert Guest Additions CD image…]. After downloading and installation is complete, access the CD drive device from your operating system. You should be able to see a screen similar to the one shown in the graphic below. Browse through the content on the CD drive and double-click on[VBoxWindowsAdditions]in order to begin installation. Note: If you have installed a 32-bit operating system, please select [VBoxWindowsAdditions-x86]. The setup wizard should now appear. Select[Next]for all the setup steps. After installation completes, the system will request to reboot the virtual machine. In the last step of the setup wizard, select the[Reboot now]radio button and then click on[Finish]. Congratulations! You have completed basic configuration of a virtual machine. You can now begin to enjoy the convenience of a combined NAS and PC experience. Enter your NAS IP into a Web browser and then log into ADM. Open VirtualBox from the ADM desktop. After opening VirtualBox, click on the virtual machine that is running. Next, click on the[Settings]icon from the tool bar and then select[Install Guest Additions…]. Click[OK]on the message box that pops out. Click on [Console] in the upper-right hand corner of the interface and then click on [Run VBoxWindowAddition.exe]. Follow the steps provided for installation. After configuring virtual machines and installing VirtualBox guest additions, you can use any mobile device (notebook, smartphone, tablet) to run virtual machines on your NAS. *Enter your NAS IP into a Web browser and then log into ADM. Open VirtualBox from the ADM desktop. *After opening VirtualBox, select an operating system and click on the[Start]button. Please download the recommended app to run virtual machines from your smartphone or tablet. After entering the appropriate IP address, account name and password and you will be able to run the virtual machine using the app. Android devices:Please download Remote Desktop Client from Google Play. iOS devices:Please download Microsoft Remote Desktop from the Apple App Store. So how do you access the files stored on the virtual machine? In the graphic below, “VM 1” represents the virtual machine that you have created. “File” represents the files stored on VM1. From a NAS storage perspective, the NAS views VM1 as a single file. Therefore, when accessing VM1 using common file access methods, you will only be able to see a single file and will be unable to open it and view additional content or files. So how do you access the files on your NAS from within the virtual machine? Based on convenience for file sharing and operation, we recommend using Samba/CIFS as the fastest way to access files on your NAS from a virtual machine. This file access method is exactly the same as the one you would use on a regular computer. No matter if its accessing shared folders on the NAS or external hard drives connected to the NAS, you won’t need to learn new! 1. 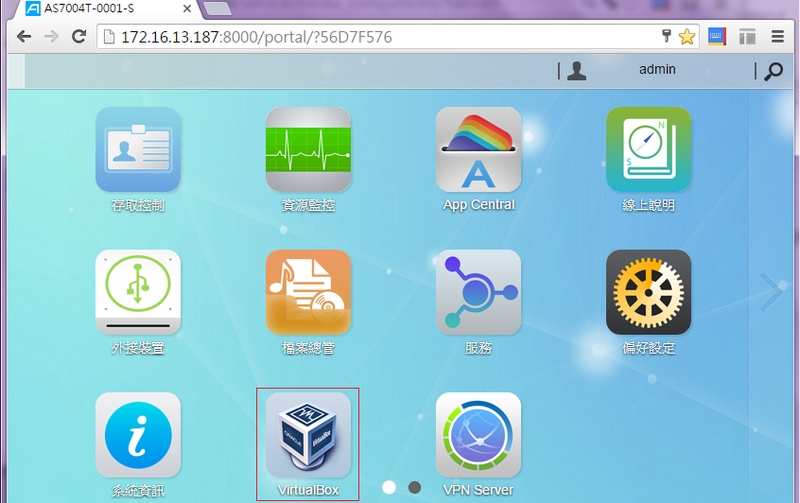 ASUSTOR Portal will detect new virtual machines and add them to the Portal interface as shortcut icons. If you wish to disable this function, please access[Settings] > [VirtualBox]from within ASUSTOR Portal.